A Cornish hotel is laying claim to be the first in the county to commission a single estate gin. Talland Bay No. 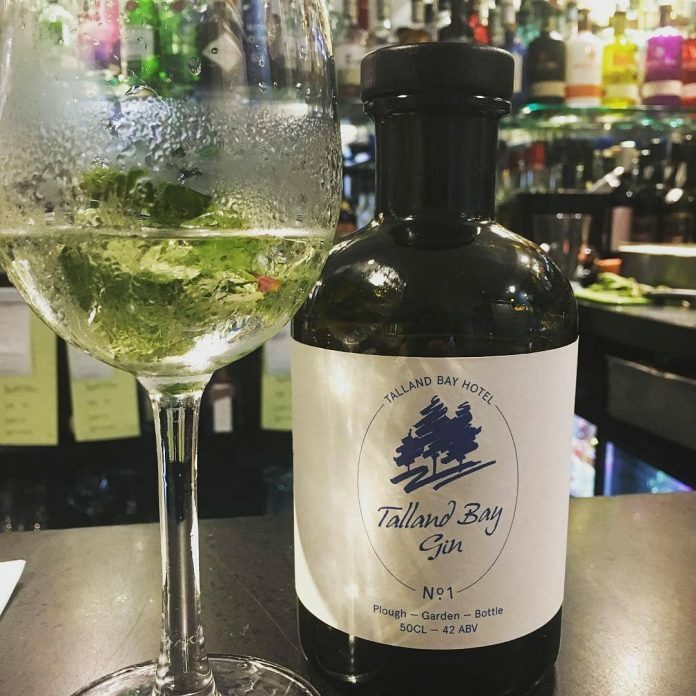 1 is the result of a collaboration between Colwith Farm Distillery and Talland Bay Hotel. The gin uses Colwith Farm Distillery’s potato wine as its base spirit, produced from potatoes grown on the fifth-generation family farm near Fowey. Botanicals are then added, including a selection foraged from Talland Bay Hotel’s own coastal gardens. Next, the gin is blended in a traditional copper still at the distillery before being bottled and driven the 17 miles from Lanlivery to Porthallow. “We’re incredibly excited to be launching Talland Bay No. 1,” says general manager, Jack Ashby-Wright. “The first time we met Steve from Colwith and heard about his plans to open a distillery on the family-farm the team wanted to get involved with producing a hotel blend.